Gina McCarthy was the head of the Environmental Protection Agency under President Barack Obama, starting in July 2013. Under her leadership, the agency undertook an ambitious climate change agenda, curbing emissions from vehicles and working toward the Clean Power Plan, an effort to further cut U.S. greenhouse gas emissions. Many of those regulations are now being undone by her successor, Scott Pruitt, who as attorney general of Oklahoma initiated multiple challenges to EPA regulations. High Country News recently caught up with McCarthy in Lander, Wyoming, as she prepared to address a crowd at the 50th anniversary of the Wyoming Outdoor Council. High Country News: In terms of their impact on Western states and Alaska, what accomplishments at the EPA were you most proud of, and which of these are most threatened by the current administration? 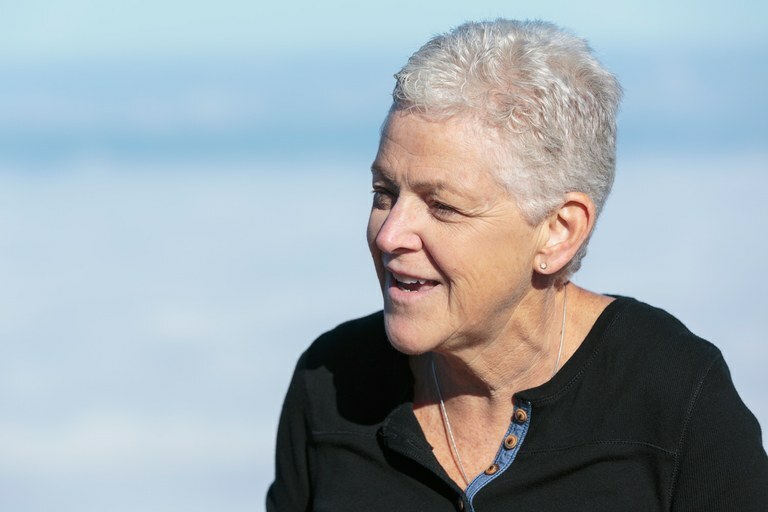 Gina McCarthy: Well at this point, I’d say that the current administration is really relooking and reconsidering just about every decision that’s been made under the Obama administration, and I think they’ve made it clear that they want to rethink all the climate efforts. They’re also really going after things like the Clean Water Rule, which is really intended to make sure that the millions of people who rely on rivers and streams that are currently unprotected get those rivers and streams protected. They’re also going after things like the amount of toxics and effluence that are that can be emitted into rivers and streams from power plants. It’s pretty clear they haven’t really been selective in their thinking, and perhaps that’s the most discouraging thing. It’s not easy for me to watch, but I’m not despairing in any way. People are stepping up. When the U.S. government in Washington has fallen asleep, the rest of the country tends to wake up big time. HCN: News outlets are reporting that the current EPA administrator, Scott Pruitt, met with Pebble Mine representatives before announcing they could go ahead with a mining proposal on Bristol Bay. What does this incident tell you about the current EPA, and what kind of danger does this pose to the bay’s salmon runs and other ecological values? GM: The entire administration, almost since day one, when President (Donald) Trump started issuing executive orders, made it very clear that the only thing they were interested in looking at with environmental decisions was what the immediate business cost was — instead of looking at the full cost-benefit. What does it mean for people? What does it mean for the larger economy, even? Bristol Bay was not a cut and dried, “We have environmentalists over there and we have the whole business community over there.” That was nothing like what we were seeing there. We actually acted there because there were huge portions of the economy, of not just Alaska, but Oregon and Washington, threatened by Pebble Mine, if that mine could not be constructed in a way that would protect the salmon resource. I mean it’s almost half of the wild salmon population in the world in that area. It was not an easy decision to actually move forward and it was complicated science. We did a lot of work. To have this administrator sort of bypass all those issues and simply talk to somebody from the industry — by himself, as far as I know — and then come back and make a decision, was really disrespectful of all of the work that had gone on before. It was an unheard-of step to take and a process that certainly didn’t seem to involve any of our career scientists or staff or anybody that actually worked on the issues that would know what we did and why we did it. Gina McCarthy, on a visit to Shenandoah National Park, along with Interior Secretary Sally Jewell, in October 2016, just a month before Donald Trump was elected president. HCN: Given an administration whose policies are ambivalent or hostile to science, what’s the greatest danger to the agency right now? How will recent resignations of hundreds of staff impact its work, both during and after this administration? GM: I think a lot of people are continuing to stay at EPA, knowing that they’ve made a career there. They are the ones that know most, and it’s just kind of sad that this administration doesn’t realize that the career staff are more than open to different policy inclinations and directions. That’s what they’re trained to do. It’s just that you can’t bring politics into science or science into politics. It just doesn’t work. I think the greatest threat that we face really is twofold. One is the outright attack on science: taking science information off of the EPA’s web page; Congress trying to change the peer review process to give more stature to industry. And you have science itself at the agency being proposed to be eliminated by the budget. It wants to cut our scientists down by 40 percent. So it’s really this attack on science that could have more legs as well as the budget of the agency. The president’s budget cut EPA by 31 percent. It was the highest percentage by far of any agency. It really was specifically directed at reducing the staff to levels that were not seen since the 1980s. So the EPA itself is at risk. HCN: When you say the EPA is at risk, what is the threat in the future what are the ramifications? GM: We measure our success in terms of lives saved. We are a barrier, working with states and local communities, between pollution and extreme health impacts. So you’re talking about threats to clean air, threats to clean water, delays in cleanup and identification of hazardous waste sites, clean up of Superfund sites. You’re talking about potentially less response in an emergency, to do water quality testing, air quality testing, make sure that if people want to return home they’re not getting themselves in danger. So you’re really talking about the risk being to our health and safety. And where climate is concerned you’re talking about the risk to future generations. HCN: Many of Obama’s climate change policies were executed without the support of the legislature, and many are being rolled back by his successor. Given this, what would you advise future presidents on policy-making? GM: We came close in the first half of the administration to getting a climate bill through the legislature. We missed by two senators. We were still under obligation by interpretation of the Clean Air Act by the Supreme Court, who told us that climate change is resulting from greenhouse gas emissions, and those emissions should be regulated under the Clean Air Act if they posed a hazard. So we wanted to move forward on climate change, because we understood its implications and how important it was to work fast. But the courts also understood that. We regulated the vehicles in the first half of the administration, and we moved onto the utilities after. And so the lesson is you’ve got to follow the science and the law. Congress needs to step up, as well, and realize that climate change isn’t some far-off polar bear problem. It really is about us, our public health. It’s about the future of our kids, and we need to act now. And one of the things that was so disappointing about abandoning the U.S.’s involvement in the Paris agreement, where the whole world — except now it’s the U.S. and Syria — is fully behind it. The disappointing part about that is that it really makes us an outlier in what should be a tremendous economic opportunity for us — not just a defense mechanism, but an offense. We know that clean energy is inexpensive; it is competitive against fossil fuels. We’re not asking people to sacrifice or to spend more money anymore. We’re all trying to race to the finish line to figure out how you can innovate and grow jobs like we’re doing now in clean energy and turn it into a future that we can all embrace and not just think we have to sacrifice and sacrifice. That’s not what it’s about. It’s about investing in the future. HCN: The EPA is one of the most contentious agencies in the federal government, prompting very emotional, sometimes vitriolic, responses to its work. Why do you think that is and what can the agency do to mitigate that kind of response in the future and even work toward reclaiming a legacy of bipartisanship? GM: EPA needs to keep continuing on an aggressive path to really align closely with our state counterparts and the counterparts in our cities and counties, meaning all of the environmental regulators, because it is a robust enterprise. It has to happen at all levels. We worked hand-in-hand with the car industry and with utilities to come to a really reasonable decision that every state and every city could get behind. And I think it shows in how these rules were laid out. They did not get an immediate gut reaction of “crazy EPA, there they go again,” because we worked it. The disappointing thing is that that does not seem to be recognized by this administration. They don’t really care whether it was well received. It’s part of their party platform. Now it’s part of their promises. But I feel very confident that because this administration has taken these issues, in such a dramatic fashion, backwards, that you are going to see quite an effort in the near future to keep that progress moving forward. We’ll regroup; we’ll rally. We just have to not despair, and we have to start acting. Comment on rules that come in, be a citizen of science, find out what’s going on in your own community, get active in your own life — and we’ll be OK.